This high protein and low sugar protein shake is a coffee lover's dream. 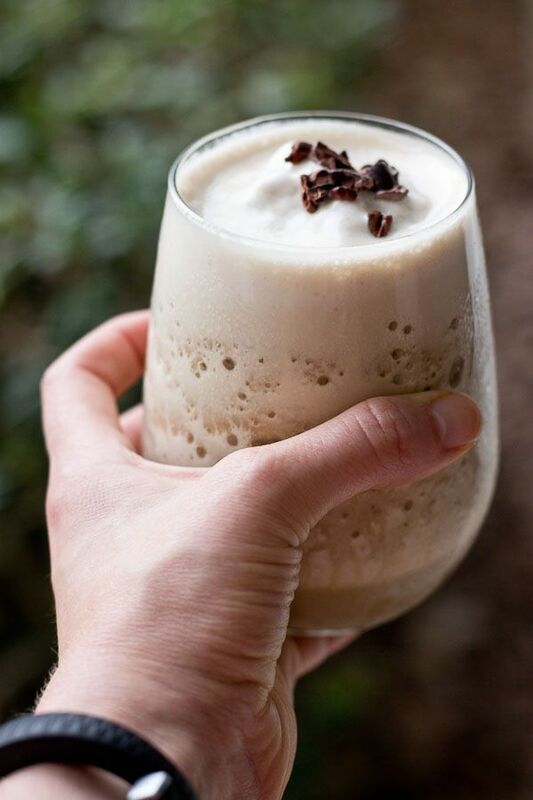 Toss all ingredients into the blender, top with cacao nibs and sip all the frothy goodness with a straw. Perfect for an afternoon pick me up.